Myth: If you own a property, you are liable for all damages that take place. While this might seem to be true, it is not. A lot of this is really more circumstantial than anything. A great example that dispels this myth would be if someone on your property committed a crime of some sort. 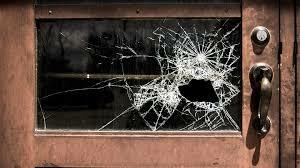 Whether they intentionally break a window and injure a person, or break a table and injure someone, the owner of the property is not liable for the crimes that other people commit. Property owners are also not liable for the negligence of others that results in another’s injury. Myth: All written and published content is protected under the First Amendment of the Constitution. Wrong, wrong, wrong. While everyone in America does have the freedom of speech, this amendment does not cover defamation. Meaning that if someone posts false information that damages the reputation of another, they can still be charged as this really has nothing to do with the freedom of speech. This is also different for slandering public figures and celebrities, as the plaintiff must then try and prove actual malice in their intentions and comments. Proving actual malice ca be quite difficult, and is a much higher standard of proof when it comes to these types of cases.